04/25/2018 Let Amarra sQ+ improve your streaming! The long awaited release of TIDAL Masters with MQA support on iOS devices is finally here. A new and exciting way to listen to high-resolution audio, Sonic Studio is very pleased to have worked with TIDAL on bringing the MQA experience to the iOS platform. This is another way that Sonic Studio is helping get music you want to listen to, when and where you want it. 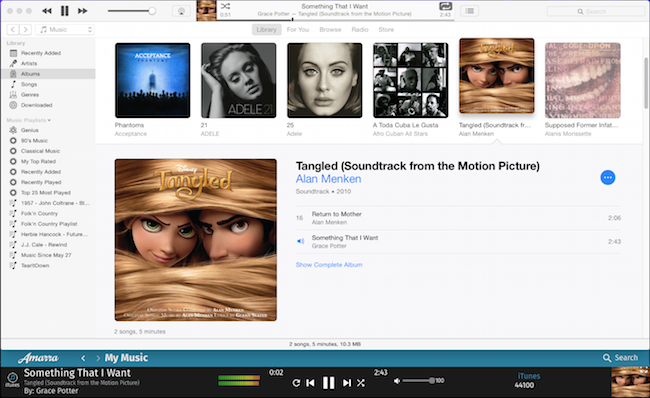 Sonic Studio is pleased to announce the latest upgrade of Amarra Play, our iOS High Resolution Music Player! 6 EQ Presets so you can pick what sounds best to you! Professional 4-Band Equalizer with customizable presets, 13 filter types and full control of Freq, Boost, Order and Q. Learn more here: Amarra Play iOS. 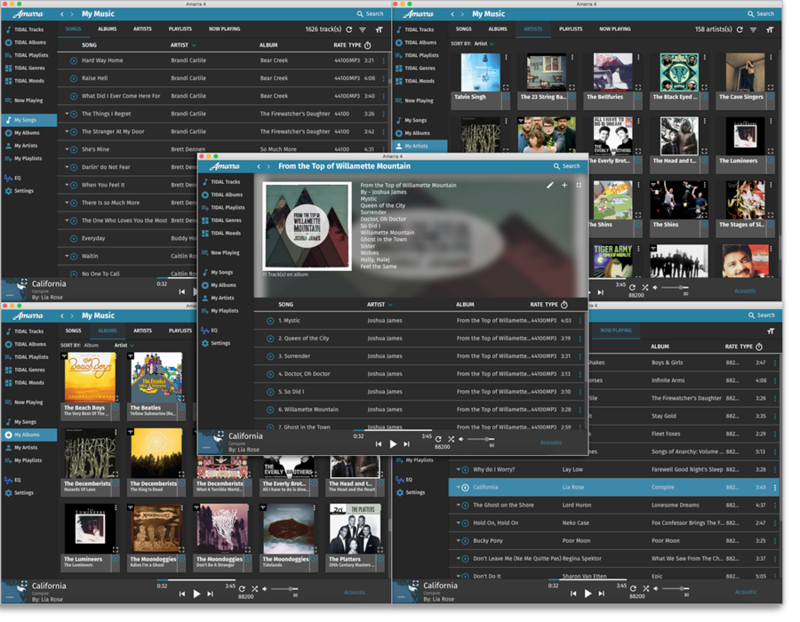 Amarra Luxe now includes Qobuz's music streaming service as part of our 4.3 release. An impressive catalog of CD quality and Hi-Res audio for streaming and downloads. Coming in Q1 2019 is nugs.net and its' large collection of live music concerts, many in MQA. Listen to bands like Bruce Springsteen, Grateful Dead, Metallica, and much much more. Take advantage of this opportunity to experience Qobuz through Amarra Luxe. Holiday Sale - Act now and get a 25% holiday savings! Use the links below to purchase or upgrade to Amarra Luxes 4.3 and receive a 25% discount from Sonic Studio! MQA Live is a new way for fans to connect to artists, wherever and whenever they perform. 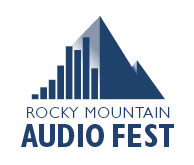 At this year's Rocky Mountain Audio Fest, MQA Live will be demonstrated with Amarra Play iOS providing the mobile MQA streaming support. Please visit us at the Mr. Speakers booth and 10:30 on Saturday Oct 6th to hear this event for your self. Sonic Studio embraces the exciting world of high resolution streaming with upcoming support for MQA Live, nugs.net and Qobuz. With the upcoming 4.3 release of Amarra Luxe, its award winning computer music player for Apple Macintosh and Windows platforms, additional avenues for streaming high-resolution audio are now available. Release is scheduled for Q4 2018. 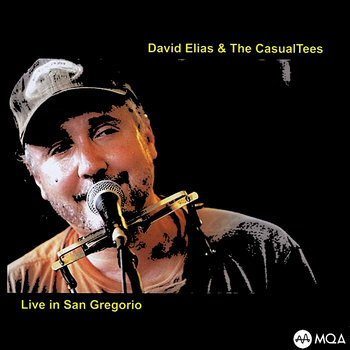 Supports high resolution MQA streaming for Live music. Read full press release here: Amarra Luxe at RMAF. With the free download of Amarra Play 1.6, you’ll have to the tools to get the music you want to listen to right at your fingertips. Choose from 6 EQ presets and pick what sounds best to you! And when you want to relax at home, use Amarra Play as a remote for Amarra Luxe and Amarra sQ+ to sit back and enjoy your music. You may be listening to your music, but are you really hearing your it? "… it’s the best playback quality of any software I’ve used, and I’ve tried a lot of them." - C.B. "I have Audirvana and Roon, Amarra IMHO surpasses both. L.E. "Amarra Luxe... It really is in a league of its own. Amarra Luxe proves that you really can have a super-detailed natural sound. H.B. 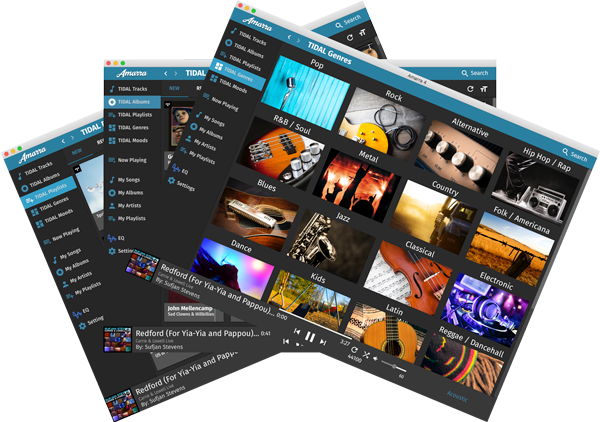 Amarra Luxe 4.2 Build 455 provides numerous fixes and feature enhancements including imrproved support for latest Amarra Play iOS music player, performance and bug fixes. Current Amarra 4 and Amarra 4 Luxe users should download the free update of Amarra Luxe Now! If you own an older copy of Amarra 3, Amarra Symphony, Amarra for TIDAL or Amarra Hifi now is the time to update to Amarra Luxe! You may be listening to your music, but are you really hearing it? Hear what our users have to say about Amarra sQ+ and how it has revolutionized how they listen to their favorite music. "The improvement in sound quality is easily discernible. Great software!!" - D.R. "Love Amarra sQ+, Now, I don't listen to my TIDAL streaming music without SQ+" - P.L. "Amarra sQ+ is brilliant. The more I use it, the more I appreciate the software. It's changed how I listen to music in my home much for the better. P.S. Amarra 2.5 provides full 64 Bit compatibility (for upcoming OS X release), feature enhancements include support for latest Amarra Play iOS Remote, performance and bug fixes. Get your copy of Amarra sQ++ just $49! Upgrade from Amarra sQ+ 2.3 for $9.99 and from Amarra sQ for $39.99. MQA Live is a new way for fans to connect to artists, wherever and whenever they perform. 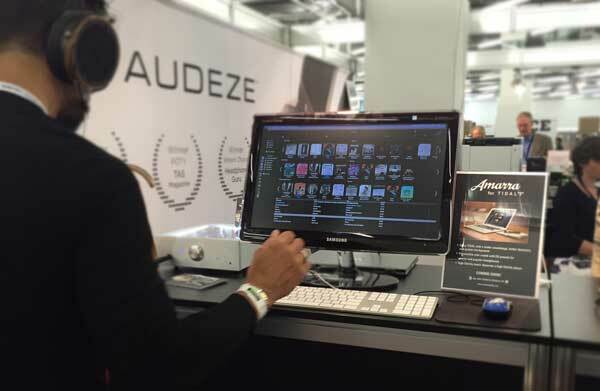 At this year's Munich HIGH END, MQA Live was demonstrated with Amarra Play iOS providing the mobile MQA streaming support and was used by AudioQuest and other MQA Partners. Amarra Play is the first iOS Music Player with MQA support. April 25, 2018: Let Amarra sQ+ improve your streaming! If you use Spotify, Apple Music, Beats Music, watch netflix or use Skype for voice calls or any other audio than Amarra sQ+ will make them sound better. Purchase now and receive a 20% discount: Purchase Amarra sQ+ Now! Imagine listening to artists you love playing LIVE – in your home, in your car, on the go – with the sound direct from the venue. MQA Live is a new way for fans to connect to artists, wherever and whenever they perform. At this year's SWSX held in Austin TX, MQA Live was demonstrated with Amarra Play iOS providing the mobile MQA streaming support. Initial response for Amarra Luxe 4.2 highlights sound quality, performance and new features. 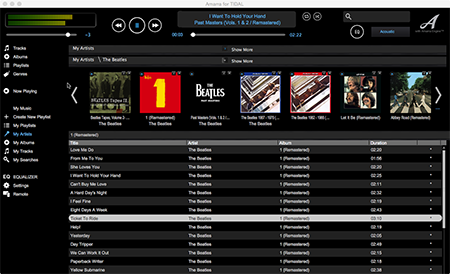 Users appreciate iTunes integration, allowing use of iTunes with the sound of Amarra Luxe 4.2. "Thanks for the new A4 with iTunes integration, Nice improvement in sound quality from A3" - D.W.
"...the sound. OMG. Never, ever have I heard standard PCM and MQA presented with such definition, delicacy and authority. Imaging beyond anything in my previous experience. Music!" - D.F. "After a very conclusive test, I bought Amarra... excellent musical performance compared to Audirvana." - D.S. "Now it's over Audirvana. Excellent repair, many thanks!" - A.V. Whether from the comfort of your home or on the go, you can now listen to the great sound of Amarra anytime or anywhere. Enjoy playback from your computer with Amarra 4 Luxe and our new Amarra Play iOS application. Listen to TIDAL, iTunes and stream music to your mobile device or download it for offline listening. However you choose to use Amarra Play and Amarra Luxe 4.2, you can now listen to music on your own time without sacrificing quality. Amarra Luxe 4.2 has exciting new features and improvements with an even better sound. Learn more here: Amarra Luxe 4.2. Sonic Studio is officially announcing support for Amarra 4, Amarra 4 Luxe and Amarra sQ+ on MacOS High Sierra (10.13.2) Issues found relating to High Sierra have been addressed or noted in our Knowledge Base. We recommend all users check with their output device hardware manufacturer for compatibility with current Operating Systems. Amarra 4.1 is now available and with it comes support for MQA (Master Quality Authenticated) playback. MQA is an award-winning British technology that delivers the sound of the original master recording in a fully authenticated file that is small enough to stream or download. Amarra 4 Luxe software can provide the first level of unfolding, allowing you to play back MQA music on virtually any device and still hear the benefits of using MQA. Read full Press Release HERE. Use the appropriate button below to download your free update now. Sonic Studio’s upcoming Amarra Luxe 4.1 media player will go live during the RMAF show in Denver on Oct 6-8th 2017. Amarra 4 Luxe supports integrated TIDAL streaming for HiFi subscribers with all the benefits of the MQA experience for local and streaming playback on macOS. 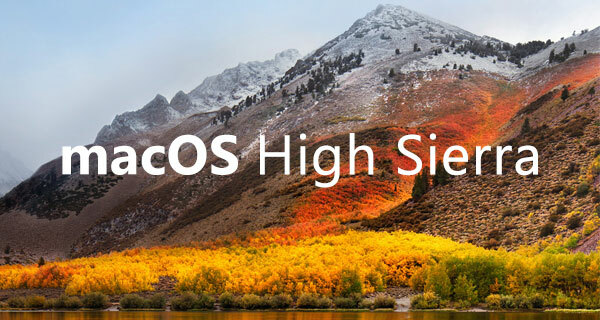 As Amarra products are still in compatibility testing with macOS High Sierra, Sonic Studio recommends that users wait to update their Mac Operating System until compatibility has been fully tested and confirmed. At this time no issues have been found. Jun 29, 2017: Sonic Studio Announces Release of Amarra 4 Luxe! Use the links below and get your copy of Amarra 4 Luxe now! Upgrade from Amarra for TIDAL for $50 today! Did you recently make an Amarra purchase and receive a link to purchase Amarra 4 Luxe at a discount? Now is the time to click that link and start enjoying Amarra 4 Luxe! 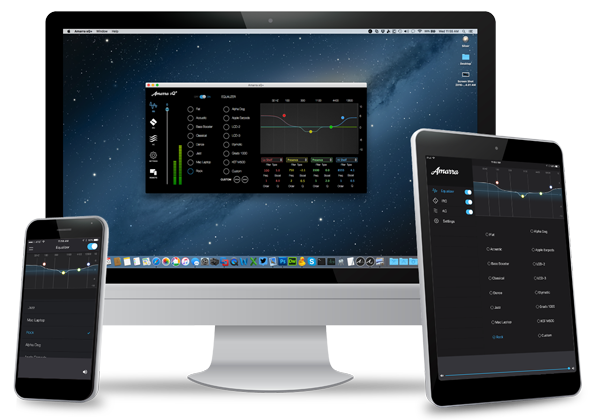 Take advantage of our free 2-week trial and see for yourself why you need to have Amarra 4 Luxe in your Audio toolkit. Sign up for a free trial below. Sonic Studio will be introducing Amarra 4 Luxe at the Los Angeles Audio Show June 2 - 4, 2017 at the Sheraton Gateway. We’re honored to have many manufacturers selecting Amarra for playback to show off their own products and so excited to provide a consistent playback platform the for Xtreme room! Amarra 4 Luxe Update: We’ve been busy getting Amarra 4 Luxe ready for release, targeted for June 2017. 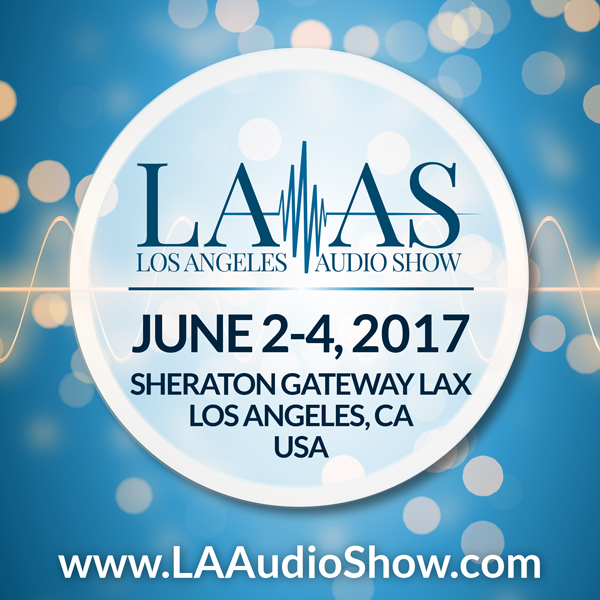 If you’re in the Los Angeles area, Amarra 4 Luxe will be on display at the upcoming Los Angeles Audio Show on June 2-4, 2017. Stop by and see the many exhibitors that are choosing Amarra 4 as their player of choice and we are honored to have Amarra 4 Luxe featured in the Xtreme Headgear room at LAAS. Check back here for updated release and show information. Want to take control of your audio? Tired of being limited to what your computer provides? Wait no longer, whether you’re an audiophile, movie-buff, gamer or sports-nut, you have unique needs and the quality of your audio is a major part of the experience. Amarra sQ+ is the one tool available for your Mac that combines professional-grade EQ, noise reduction and processing with a flexible and simple to use interface, giving you the control you need to maximize your personal experience. 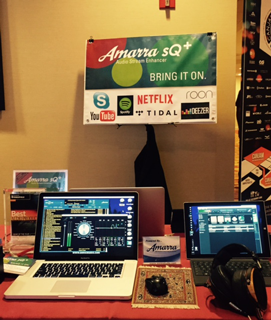 Dial in your music, bring your movies to life, be in the game, experience events like you’re there, all with Amarra sQ+. From now until April 30th, pay only $34.99 to get the most from your audio investments. This is a ‘must-have’ addition to any audio toolkit; buy it today! What a show this past weekend! 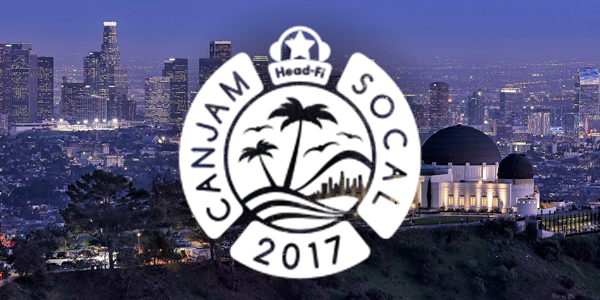 Visitors to the SoCal CanJam this weekend were treated to experience some of the leading audio equipment in the world and we’re pleased that many exhibitors chose Amarra 4 to provide their source material playback for this epic event! Sonic Studio proudly announces the release of Amarra 4! Amarra 4 is the first in a new series of products that brings Sonic Studio’s audio expertise into the next generation of media players. Amarra 4 is fast, fun and easy to use and supports all common audio formats including DSD and FLAC. With integrated professional-grade tools and processing, Amarra 4 combines our legacy of outstanding sonic quality with a new and exciting User Experience. We are excited to announce the Next Generation of Amarra products. We’ve listened to your feedback and Amarra 4 promises to offer great sound with a fantastic new user-interface, easier licensing, and the consolidation of features into fewer products. We are also excited to welcome Windows-based users, as Amarra 4 will be cross-platform, providing support for Windows 8 and 10. Our goal is to provide one integrated solution for all of your playback needs! Sonic Studio and ampsandsound will be teaming up at RMAF 2016, Oct 7-9 in Denver, to show off the newest products from both companies. Come see Amarra 4 from Sonic Studio and the Kenzie and Mogwai Amps from ampsandsound at the CanJam. 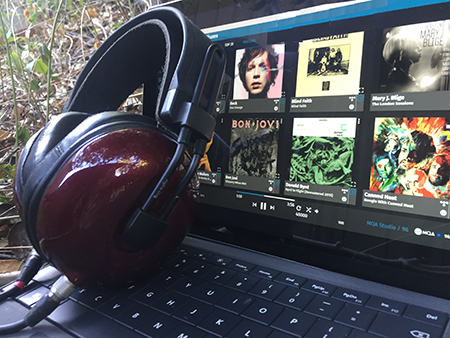 Listen through state-of-the-art headphones or bring your own cans to compare to your current setup. 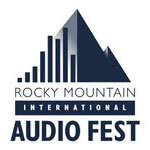 Details for RMAF 2016 can be found at: www.audiofest.net. Unfortunately, Apple's latest update to iTunes (iTunes 12.4) has created issues with Amarra products. Please check our fresh knowledge base article on these issues here. 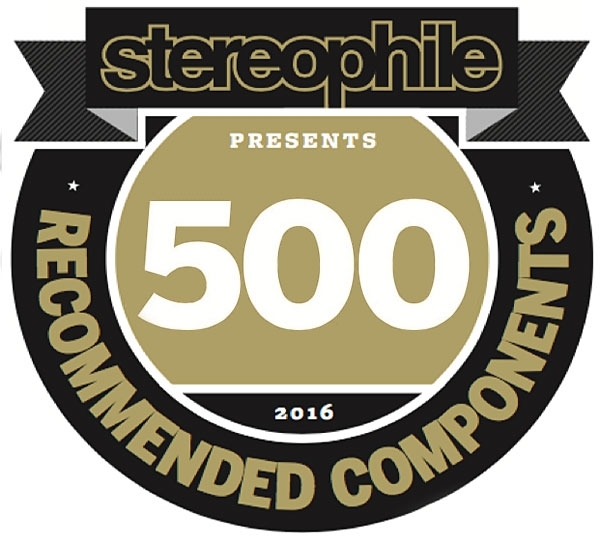 See Stereophile’s Recommended Components list. Amarra sounded fabulous at CanJam SoCal 2016! Thank you for stopping by to see us and for listening. We demonstrated MQA playback using Meridian Explorer 2 DAC and supported AmpsandSound--a coming together of the best in tubes and digital! We hope we'll be seeing you all again at T.H.E. Show Newport in June. 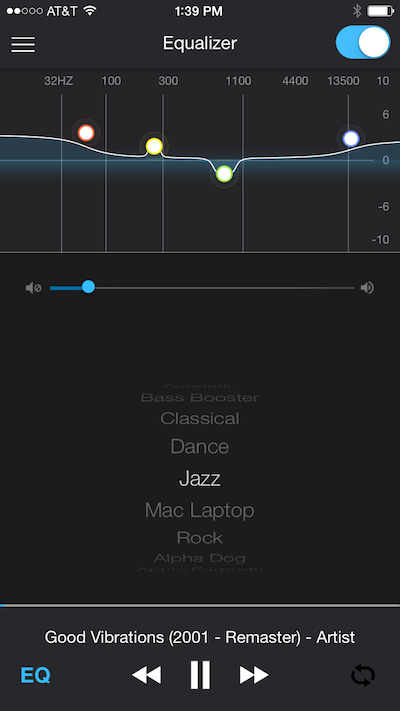 January 14, 2016: Sonic Studio Releases Amarra for TIDAL 2.0 with iOS Remote! "...The Amarra for TIDAL Remote is an iOS application for iPhone and iPad allowing complete remote control of Amarra for TIDAL. 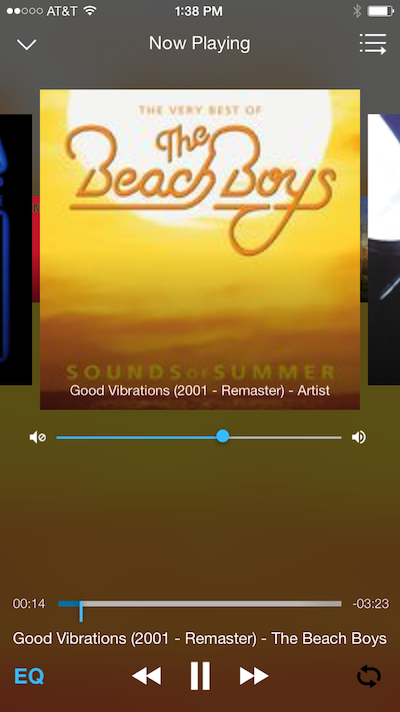 The iOS Remote provides access to tracks, albums, artists, genres, now playing, and access to remote playlists with its clean and simple user interface. The integrated EQ window allows control of all settings including, boost, frequency, Q, EQ presets, volume control (meters), and output device control. The Amarra for TIDAL iOS remote is slated for release in November 2015." "...TIDAL is clean and efficient and effective. I found that CDs, played with the same digital processing equipment, do still outshine TIDAL Hi-Fi, but the difference isn’t extreme. Moreover, a $39.95 app just released by digital audio site Sonic Studio all but bridges the gap." August 20, 2015: STEREO Magazine: "You should allow yourself the luxury..."
"...the individual instruments can be distinguished better and have more radiance." August 19, 2015: Computer Audiophile: "...Highly recommended." "For those of you contemplating taking the plunge into an all-you-can-eat arrangement for you music for the first time, Amarra + Tidal does not disappoint." Learn about where Amarra is today and where we are going in the future. Images for the Amarra Remote are shown below. We expect delivery by early October. 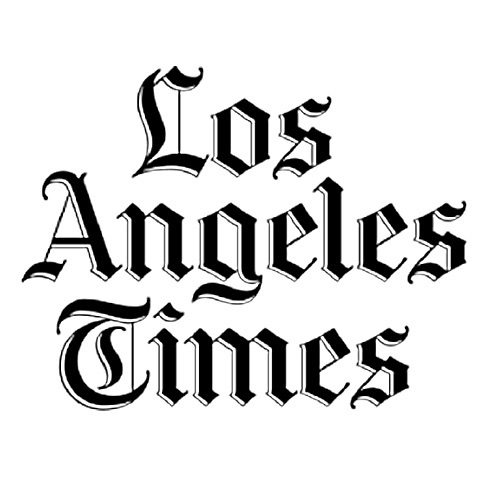 August 1, 2015: AppleInsider.ru Review: "...Amarra gets a solid 5 stars." "Overall Amarra - a very good player that supports many formats and plays them perfectly." "В целом Amarra — очень хороший плеер, поддерживающий много форматов и великолепно их проигрывающий. " July 16, 2015: MGR Audio Review: "A Quick Word on Amarra for Tidal"
Easton Page has some very kind words to say about our new app Amarra for TIDAL in this review! "This is not a subtle difference: it will blow you away. I’m addicted to listening to Amarra and TIDAL; it’s like I’m right inside the mastering studio listening through my HD800s or my UE Reference Monitors!" 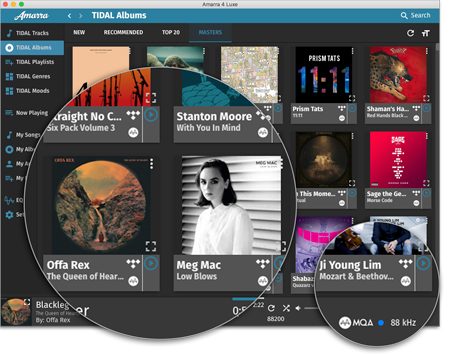 July 14, 2015: Digital Audio Review: "Amarra For Tidal: a better streaming sound for OS X, Windows"
John Darko takes a look at our new application Amarra for TIDAL and finds that, "Amarra For Tidal sounds both more relaxed and more alive than the native Tidal app." in this review. Check out Digital Audio Review's review of Amarra sQ+. John Darko looks at switching up the sound quality of roon Labs, TIDAL HiFi, Qobuz, Spotify, and Apple Music with Amarra SQ+. 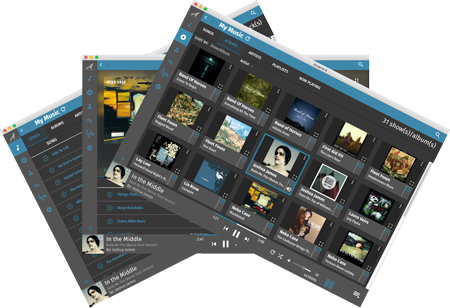 Sonic Studio is proud to announce the release of our newest streaming music player specifically designed for the High Fidelity TIDAL music service. 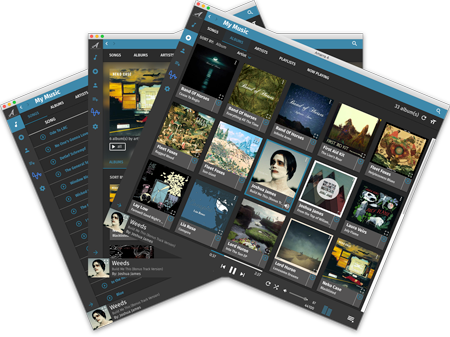 Amarra for TIDAL is the audiophile grade music player for your TIDAL listening. 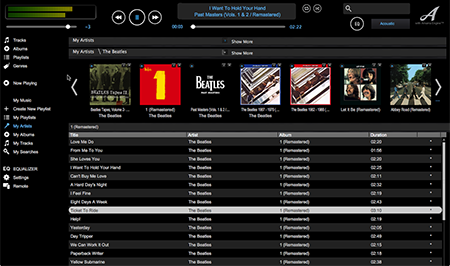 We had a great time showing our newest Amarra for TIDAL streaming music player for Mac OS and Windows. We will be in Munich, Germany between Thursday and Sunday this week, make sure to visit one of the years best audiophile events: the High End Society Munich Show. 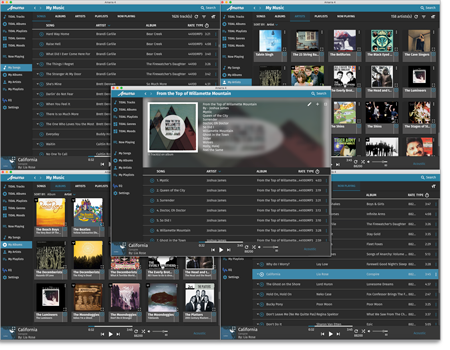 We will be showing our newest Amarra for TIDAL streaming music player for Mac OS and Windows. Amarra sQ 2.1 is a free update for current Amarra sQ owners. Your current Amarra sQ 2.0 license will activate Amarra sQ 2.1 and the licensing process is automatic. Clarify any audio with Audio Conditioner! Scott Hull writes "There’s a lot of fuss and bother that’s been made over the sonic contributions of software-only audio players. I’m not going to rehash that here (or anywhere, actually). What I will offer is that Amarra, the early leader in this space, has come roaring back with a svelte and easy-to-use package that will flat-out embarrass many of their competitors." Going to be in the Denver area October 10-12? 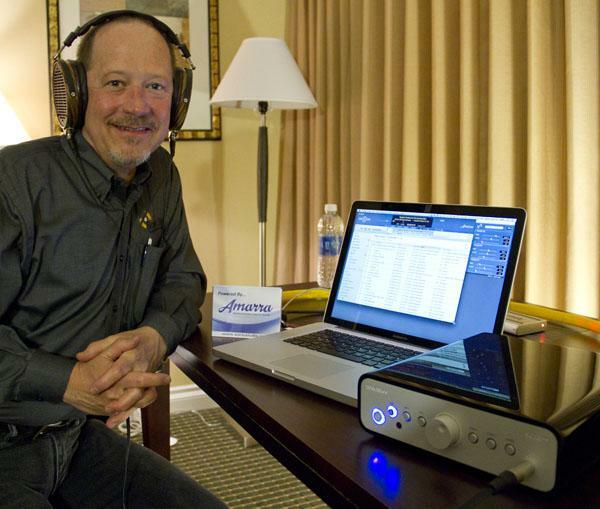 Stop in at the Rocky Mountain Audio Fest RMAF2014 in the Denver Tech Center to hear Amarra in action. Many exhibitors will be using Amarra and our Impulse Response Correction (iRC) functionality to highlight the capabilities of their components on display. Amarra provides an incredible signal out of your Mac and iRC provides a powerful yet cost-effective way of correcting issues in your listening environment. The results will make your ears sing. Please visit the following exhibitors to hear Amarra and see the great equipment on display. Check out Digital Audio Review's latest report on "Improving the sound quality of Qobuz, Spotify and Pandorastreaming audio". John Darko visits with James Anderson and gives a first look at our upcoming Amarra sQ. 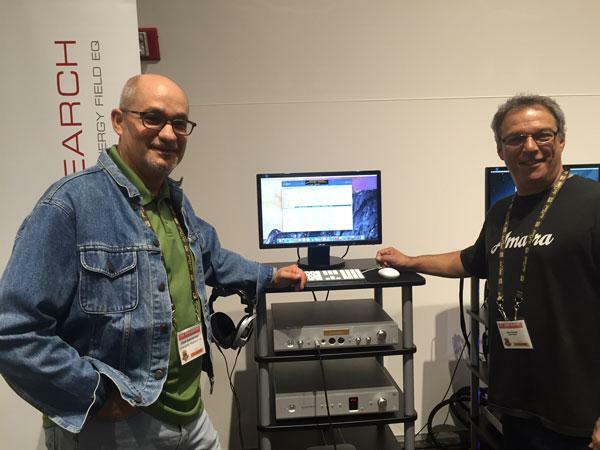 Sonic Studio previewed our Amarra 3.0 release at T.H.E Show Newport. 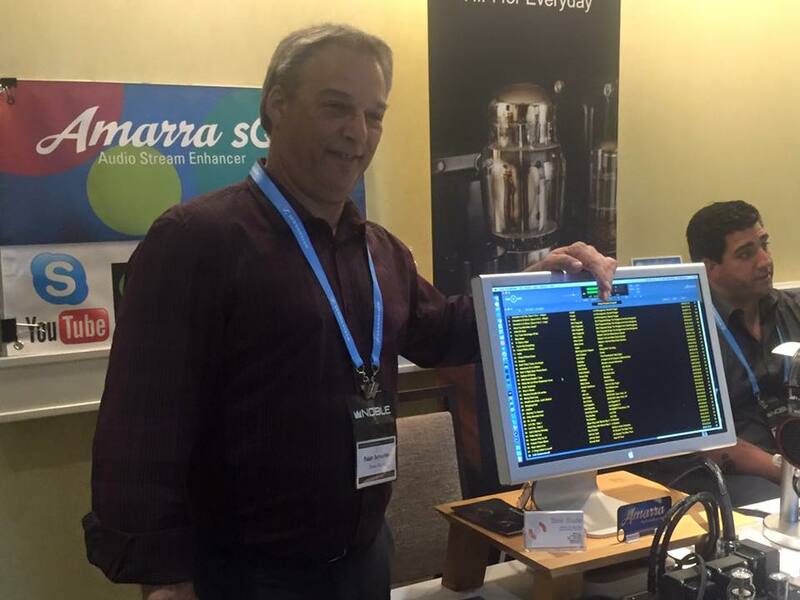 Tyll Hertsens stopped by to check out the wonderful and great new features in the upcoming Amarra 3.0 release. If you’re lucky enough to be in Munich, Germany between Thursday and Sunday this week, make sure to visit one of the years best audiophile events: the High End Society Munich Show. Sonic Studio is pleased to announce that it will be showing its Amarra™ range of award-winning computer music players in conjunction with Peachtree Audio’s leading audiophile DACs and amps. The companies will feature their products together in Hilton Hotel Room 832 during T.H.E. 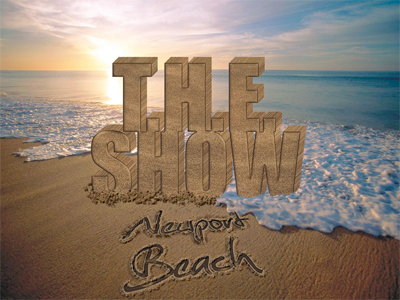 Show Newport Beach May 30-June 1, 2014. At T.H.E Show, Sonic Studio will be introducing significant new features and enhancements to Amarra™. Be sure to check back and learn more as this important and exciting show approaches.